Hwanhee of legendary R&B duo Fly To The Sky has returned to his roots this summer, ready to serve us one sultry ballad at a time. These heart-wrenching R&B ballads are what Hwanhee does best, and boy, is it a treat to hear them again. Hwanhee’s self-titled album opens with the intro track, “Temptation“, which has him belting out a quick sample of his epic vocals over a simple R&B production. The Intro is short, but to the point. It has the right amount of push and pull of Hwanhee’s vocals to segue into the songs where we can hear him properly in all his glory. “All Day” is reminiscent of the broadness from Hwanhee’s first mini-album, “H Soul“. The minimal details of this wispy track allow Hwanhee’s voice to glide in sync with the ethereal aspects of the instrumentals. There isn’t a second where Hwanhee lets you go as you float from one end of the song to the other. The lead single,”I Feel Like I’m Going To Die“, is laced with the feeling of a R&B ballad from the early 2000s, which was present in the previous track, but got intensified here with a more colorful backdrop. We hear everything at a crisper level – from the strings to the guitar riff – and with additional drips of bells and whistles, this was definitely Hwanhee’s best choice for a lead single. Personal highlight: the gratuitous key change of the middle eight, which is an absolute staple in a ballad of this magnitude. 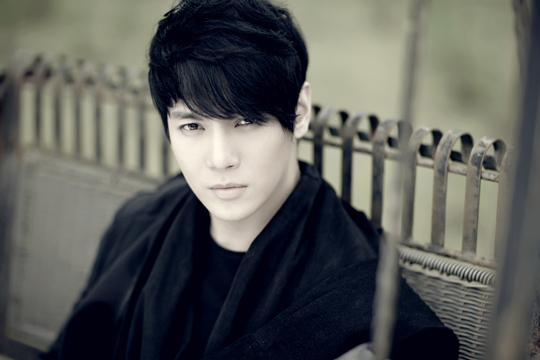 Speaking strictly on his singles, “Feel Like Dying” isn’t as perfect-pop as his first post-Fly To The Sky single, “Because I Missed Your Heart“. But what it lacks in pace and glamor, this song makes up in emotional investment. Hwanhee spills his soul into this piece – it’s not easy translating emotion through song, but the man does it with ease. “Feel Like Dying” is darker in tone than Hwanhee’s previous mini-albums, and that sentiment is carried throughout the rest of this album. “Without Knowing” is far more delicate than anything heard so far. The entire first verse is a simple duet of a piano line and Hwanhee’s voice. It’s overflowing with romance, and the subtlety of the instrumentals paired with Hwanhee’s tender delivery helps express those feelings incredibly well. These kinds of ballads are meant to tell stories, and the delicacy with which “Without Knowing” was pieced together does just that. The following song, “Yesterday“, was sung as a duet with SECRET’s Song Ji Eun for her solo single back in late 2009, which featured two versions: a duet, and a solo version with just Song Ji Eun. The one found on this album is also a solo version; this time, sung entirely by Hwanhee. So if you’re a fan of this song, you now have a whopping three versions to enjoy! Having listened to the duet already, it’s difficult to strip this song of one complete voice, especially when it sounds like it was meant to be that way. But given the differences in their tone, they each bring a certain character to it that give this song a new angle, musically. “Nightmare” is the shifting point of the album, where we are finally given a song with a little more movement. It’s by far the most explosive song on the album. Where songs like “Feel Like Dying” were grand and full of broad strokes, “Nightmare” follows similar veins. But what this song does differently is throw in a fierce beat. It begins on a soft note, followed by a quick rap line, then begins a mountain climb to an explosive climax. All the little details – the backup vocals, shifts between loudness to softness in the instrumental, the guitar riff – it all comes together almost flawlessly. It’s also very Hwanhee. “Nightmare” is exactly the type of song that works for him – one which he can belt to the high heavens with, as well as dance to his heart’s content. It’s timeless, sophisticated, and powerful. “Strangers” is a duet with chanteuse May Doni, originally released last year. The song is warm, soothing, and May Doni sounds amazing next to Hwanhee. Both singers have stunning vocals, and when “Strangers” reaches its peak at the middle eight, it’s a complete feast for the ears. Definitely one of Hwanhee’s most compelling duets to date. 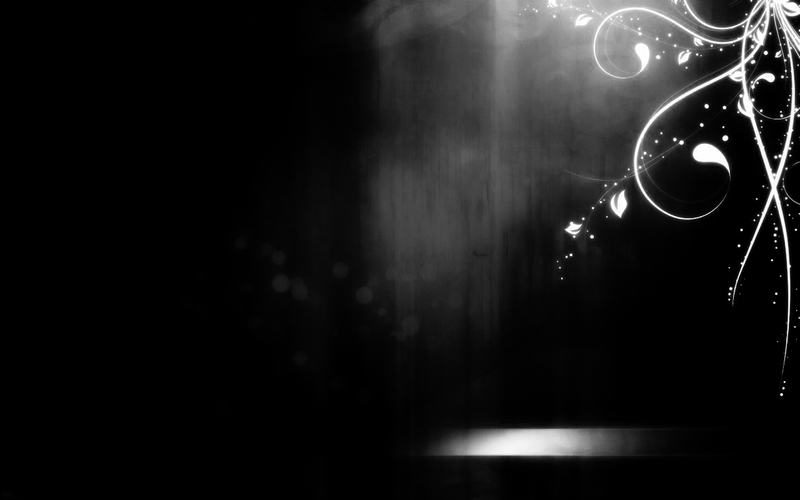 The following song, “T By Tears“, has become a fan favorite, and with good reason. It’s slightly dark, and slightly full of attitude, which falls right in line with the sombre overtones of this album. There’s a shadow looming over these songs, and this one definitely embraces the depths of that emotion. The phrasing really drives this song home; from verse to pre-chorus to chorus, Hwanhee not only places the right amount of emphasis and punch where needed, but he also conducts his voice with ease over the gorgeous melodies. 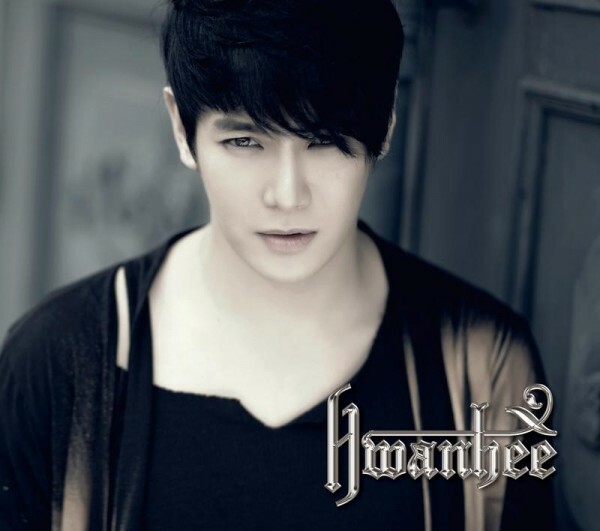 “Love You, Love You,” featuring Seyong is another classic R&B track befitting of Hwanhee’s vocal prowess. While it’s not the fastest song ever, somehow it feels like we’re moving at a pretty fast pace, as the verses seem to last about two seconds before Hwanhee and a set of breathy backup vocals push us through this weighty song. The rap comes and goes, and before you know it, you’ve reach the end. One could say this urgency reflects the feeling of wanting to say “Love You, Love You” to that special someone once you’ve realized it for the first time, and I can certainly co-sign to that. The last song of the album is “Break Up Taught By You“, a final ballad that leaves a slightly regretful note. It’s emotional and as regal as ever, but after the slew of incredible songs, but this one isn’t as stand-out as some of the others. It’s a nice ballad, but not as potent or memorable as it could be. One thing worth commending is Hwanhee’s confidence as a singer. Credit it to his long run in the Korean music industry, or to the simple fact that he is all raw talent, but hearing Hwanhee in complete control of his voice is at times enamoring to hear. Hwanhee has a richness that really adds a velvety touch over his songs, and it’s this fullness in his voice that really carries the melody in his music. The album ‘Hwanhee’ comes together like lines of a poem; there are sections of high tension, and sections of resolve. It’s full of emotion, and carries one of Hwanhee’s strongest collections of vocal performances. Even more inspiring is his knack for incorporating an old-fashioned R&B style through most of the tracks, and pulling it off with ease. Hwanhee is a master of the R&B genre, and this album proves it.